In 1894, the world famous ship designer Colin Archer of Larvik received a very special commission for the English timber merchant Frederick Croft who ordered a high-class yacht. The vessel was launched on 10 August 1897, and named Wyvern from mythology which means ‘an awe-inspiring dragon’. Frederick Croft was an enthusiastic sailor and crossed the North Sea many times, visiting among other places, Hull, the place where he was born. 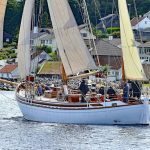 In 1909, Wyvern was sold to Kiel and renamed Tatjana, sailing under the German flag until after World War I, when she returned to Norway. In 1924, she was bought by a well-known newspaper editor who kept her for 10 years until 1934 when she was sold to a British couple Anne and Terrence Carr. They lived onboard and sailed for 27 years until 1973, crossing the Atlantic 12 times, and sailed around the world during the 1950s. 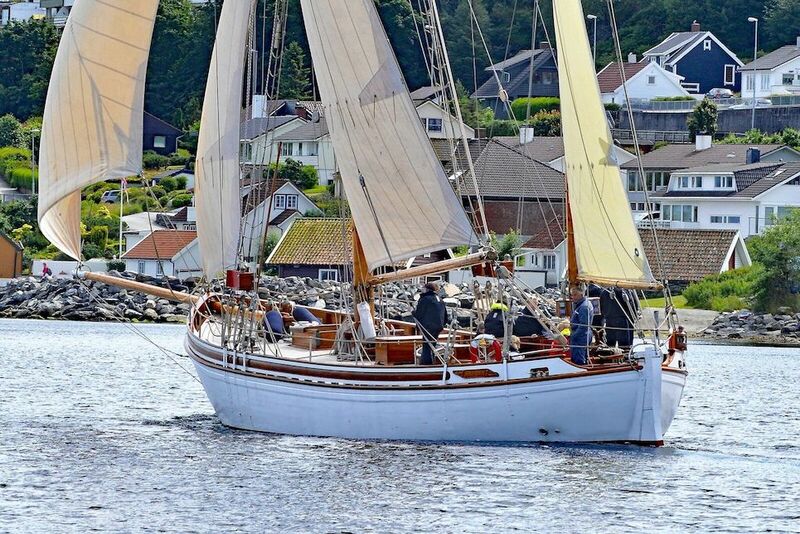 In 1978, Wyvern was found in poor condition at a mooring buoy in Ibiza, purchased by a group of oil related companies in the Stavanger area, and completely restored to her original splendour. In August 1984, Wyvern was presented to the Stavanger Maritime Museum as a gift by His Royal Highness, Crown Prince Harald of Norway and since then, has represented the museum, the city and the country in both near and distant waters. She is a regular competitor in the Tall Ships Races. A unique opportunity to sail onboard a classic yacht.